In the previous post, we looked at how to conduct new employee induction programs. In this post, I want to take a step back and look at all the ways in which employers can prepare to make a round of interviews a big success. 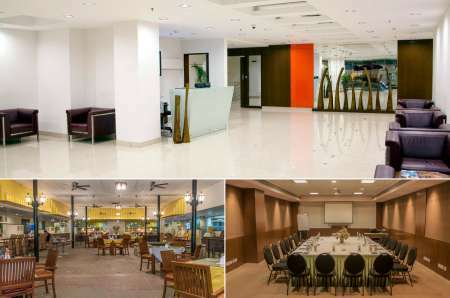 In addition to being a Bangalore event venue for conferences, meetings and training sessions, Evoma also provides interview rooms for recruitment drives by corporate customers and our own members who rent office space at our business centers. 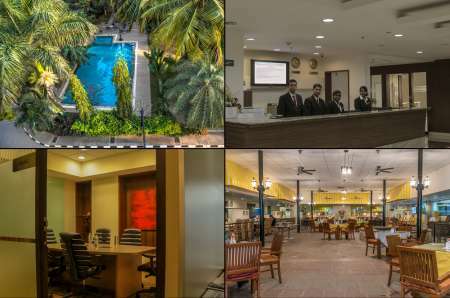 Our own recruitment and hiring process at Evoma requires interviews almost every day to fill the hundreds of hotel jobs for our business hotel, and the operations teams at our four business centers in Bangalore. This interview preparation checklist for employers is based on our own experience, and handling all the interview-related requests that our member businesses ask for. 1. 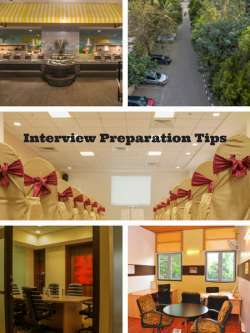 Select the right location and venue for the interview. The location where you conduct your interviews says a lot about what kind of candidates will show up. A small or medium business that operates out of a factory may find it hard to attract top-tier candidates from metro cities to an industrial area in another city. Ideally, the location should be in the city from where you want to hire talent. The venue should be easy accessible to all the candidates, close to major transportation hubs. 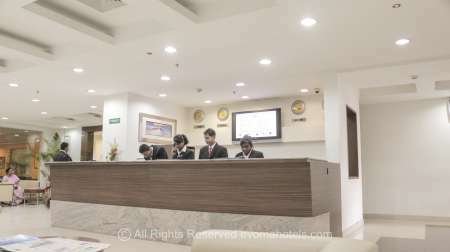 For example, Evoma OMR is ideally located on the highway, just 20 minutes from Whitefield, Byappanahalli Metro, Indiranagar and other areas in East Bangalore that both employers and employees will find convenient. 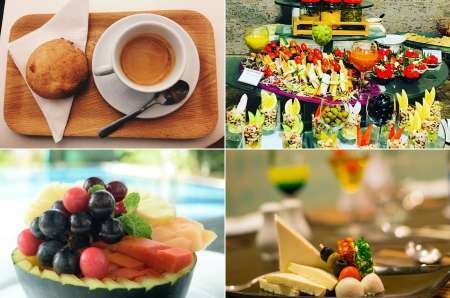 The driveway, outdoor pool and garden, luxury hotel atmosphere and professional staff and facilities also make a good first impression, which is critical for hiring the best candidates out of those who show up. 2. Arrange for free shuttles or reimbursement for transportation to all the invited candidates. Another thing that attracts the top candidates suitable for the open position is free transportation. Someone who is busy at their current job, and doesn’t have a lot of free time, will not want to spend their own money to come for the interview. 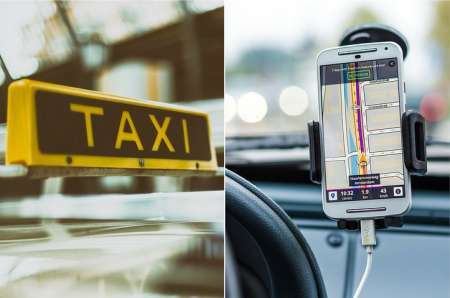 But they’ll be motivated to make the effort if you can provide reimbursement for expenses, or at least provide a shuttle to pick up and drop off candidates to and from the interview location to the nearest metro station. 3. 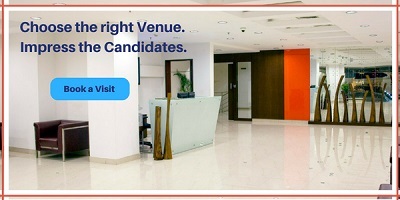 Arrange for waiting space large enough for all the invited candidates. The last thing an interview candidate wants to do is come to the venue and find out it’s already crowded and there’s no room to sit down. In addition to the board room or meeting room where you are conducting interviews, you must have access to a large waiting room or reception that can seat all your candidates who have down come for the interview. If possible, make sure this space, and your interview room, are air-conditioned. You don’t want future employees to start sweating before they’re grilled by you during the interview. That should only happen after they walk in to talk with you. 4. Make sure you have reception staff to field calls and talk to candidates who show up. Interview candidates typically have a lot of doubts and questions after they arrive at the venue. They want to let you know they have arrived, and what should they do next? More questions that people coming for an interview might ask are listed below. 5. Arrange for beverages, snacks and meals for candidates while they wait. After the first 10-15 minutes of waiting, an interview candidate will start feeling restless. If you want them to stay alert and eager to do well, it’s important to keep them well fed. Provide tea, coffee, cold drinks and refreshments. If the wait time extends beyond 12:00 noon, then you must also arrange for lunch for everyone who is still waiting. 6. 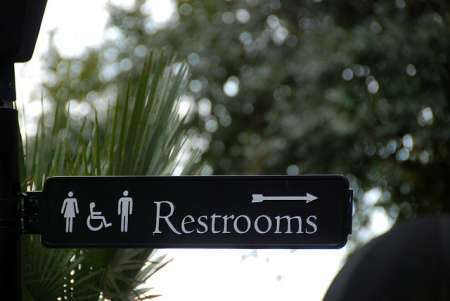 Ensure there are restrooms within the premises for candidates. The one thing that is a must-have is at least one restroom each for male and female candidates. It’s a necessity to have on within the premises, on the same floor if possible. It also makes a big impression on the candidates, who need to use the restroom and freshen up while waiting. 7. Make use of a queue management system to call candidates just in time for the interview. On top of all the aforementioned interview tips for employers, you might also want to consider making use of a queue management system (such as VirtuaQ) to allow your candidates to schedule their interview appointment. The system sends them an SMS token that gives them a number and a time at which they should come. If there are any changes, delay or preponement, then the QMS will send out another notification via SMS to let the candidate know of the change in time. Either way, the point is that they don’t have to come and wait all day long. A candidate may come just in time, wait for 5-10 min before the interview, and leave as soon as it’s done. It’s less of an ordeal for scared candidates. For the employer, it reduces the cost of handling a room full of interview candidates. As an event venue that benefits from such waits, we don’t have to share such secrets. But a successful recruitment drive that benefits our clients’ interest is what we aim for – more so than selling additional event venues to clients who are already renting interview rooms. Recruitment Drive in Bangalore? Fill in the form below to get a quote.